Last week, Snapchat announced 14 new creative partnerships aimed at improving user experience while enabling new advertising options. Although Snapchat has been offering advertising options since last summer this new announcement will enable Snapchat lead generation, specifically introducing fillable lead generation forms for the first time. In order to bolster its ability to gather consumer insights and build smart lead generation campaigns, Snapchat has partnered with Jebbit to take advantage of its declared mobile data platform. This partnership reflects Snapchat’s desire to keep users engaged on the Snapchat platform instead of redirecting users to the advertiser's website. Snapchat hopes that this will both improve the user experience as well as increase the number and quality of lead generation conversions that advertisers generate. Lead generation companies should keep their ear to the ground in the coming months. 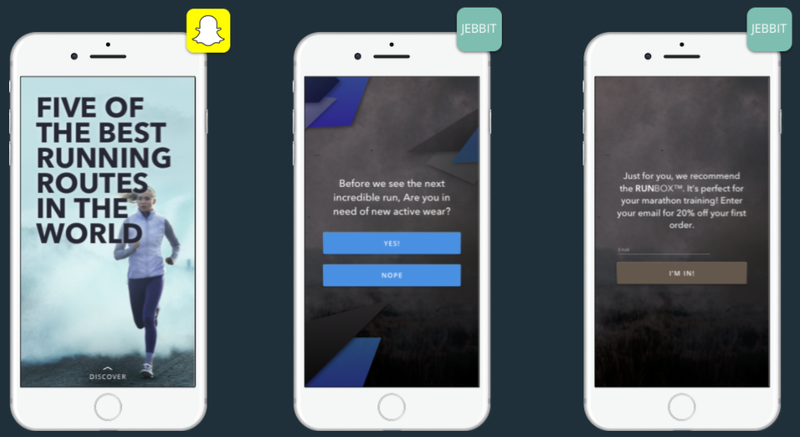 While it is unclear exactly how soon these Snapchat lead generation options will become available, Jebbit has already provided an idea of how they will work. Snapchat lead generation campaigns will likely limit the scope of the forms so lead generation companies may need to revert to tailored, short-form lead generation strategies. There is no way of knowing just how successful Snapchat lead generation forms will be or how well lead generators will be able to take advantage. However, if Facebook Lead Ads are any indication of how successful social media lead gen campaigns can be, then Snapchat lead generation is certainly worth keeping an eye on. We’ll be sure to follow up on any Snapchat lead generation developments in the next few months as they are released so be sure to check back or subscribe to our newsletter to stay informed. boberdoo.com has been innovating and improving the lead generation industry since 2001. We have witnessed the explosion of social media lead generation over the past five years and are constantly looking for new ways to enable lead generators to take advantage of these new technologies. If you are interested in exploring exactly how boberdoo can help your lead generation business, please give us a call at 800-776-5646 or fill out the form below.